We all make mistakes, some more than others. Some of these mistakes can lead to financial turmoil. If we continue to make them it could even lead to bankruptcy. If the increased stress and frustration wasn’t enough, you also have to manage the difficulty of figuring out how to turn it around and get righted on the correct course. So, how do you recover from a financial disaster without throwing your retirement off course? The first step toward financial recovery is accepting your current circumstance. Take a deep breath and give yourself a moment to process your new reality. Whether you’re recovering from a financial disaster you brought on yourself, or are taking responsibility for the mistakes of others, it’s important to stay calm. It’s easy to begin to spiral into a dark place when you feel like there is no solution or end in sight. It’s important to remember that you can get yourself out of any financial hole with a solid plan, however, resisting what is already a fact can be fatal to your growth and progress. Spending time grieving and obsessing about what could have been is a waste of your time, resources, and energy. The longer you spend reeling in your misery, the less energy you will have to create a plan of action. Give yourself grace and room to accept your circumstances. Instead of focusing on the negative, spend time redirecting your thoughts toward a solution. The road to recovery starts with a financial plan of action. Once you have accepted your situation, it’s time to review your finances. Evaluate your resources and the liabilities you’re responsible for due to this misfortune. In order to make a detailed financial plan of action, you need to understand exactly where you stand. This will help you measure your growth and progress toward recovery. Think about it as if you were taking a road trip. Wouldn’t you have to know your current location in order to follow directions toward your final destination? Without diving into your current financial statistics, you could continue to spiral down the same path. Many would prefer to avoid the harsh reality of this situation. By truly understanding your starting point, you can track your progress and celebrate your growth and triumphs along the way. What assets do you have left after this tragedy? How much debt have you acquired? What are your sources of income and how much do you have coming in? Taking the time to jot down all the financial elements that compose your current situation will help you organize your new financial plan. Now that you know where you are, you need to determine where you want to go. Your goals and objectives are your final destination on your road trip. The more detailed your goals are, the better chance you have of success. Setting “S.M.A.R.T.” goals can help you establish guidelines for achieving your goals. “S.M.A.R.T.” stands for Specific, Measurable, Attainable, Realistic, and Timely. For example, if you’re trying to pay off $60,000 of credit card debt, your goal may be to pay off $30,000 of credit card debt by December 2020 by paying $1,600 every month. You can also tie in your desire to eliminate your subscription services and cut back on dining out. Even if you establish goals that are a little bit of a stretch, you want to ensure they are attainable and doable. Setting goals that are outside your reach will only set you up for additional emotional turmoil. Each financial situation requires unique attention and a personalized action plan. Partnering with a financial planner with specific expertise is one of the best things you can do to help you achieve a full financial recovery. Financial planners are experts in the finance industry, and often they have helped hundreds of people understand and optimize all of the pieces of their finances, assisting them to ultimately achieve the life they’ve always dreamed of. As you work through the process of creating your recovery plan, financial planners are instrumental in providing support and guidance to facilitate the tough questions that help you make financial decisions. Financial planners can help you see your entire financial picture and suggest options and strategies to aid you in successfully recovering from a financial disaster. The more you understand your own recovery plan, the better you will be able to manage your finances in the future. Establishing a recovery plan is nothing more than wishful thinking without applied action. It may seem obvious, but financial plans don’t work unless you act on them. Now that you’ve established a secure financial plan to recover from a financial disaster, it’s time to execute your strategy. Many dream of enhancing their financial situation, but few take the proper action to actually get there. The ability to persevere and stay consistent through financial ups and downs will go a long way in helping you reach all of your financial goals. 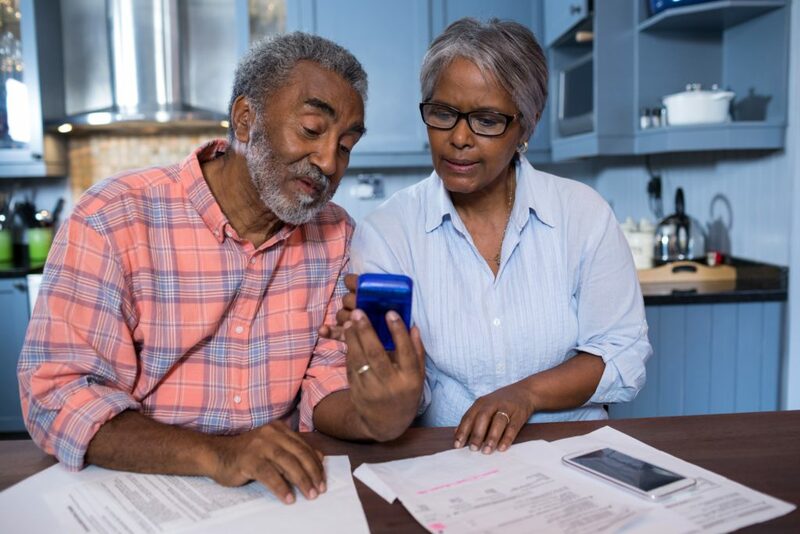 Your financial planner can also help to hold you accountable to your financial plan by checking in regularly to make sure you’re executing your strategy accordingly. It’s inevitable that your recovery plan will have some hiccups along the way. If you knew everything about managing your finances, you may not have found yourself in this financial situation in the first place. That’s why it’s vital you review and make adjustments throughout your journey. Taking the time to review your recovery plan is necessary to ensure you’re still on the right course. It may be wise to schedule regular appointments with your financial planner to assess your progress and determine if you need to make any adjustments. As you continue on the path toward financial recovery, you will grow and gain knowledge. You will adapt positive financial habits and begin to improve the health of your finances. Be patient with the process, it will take some time to adapt to your new way of life. If you’re suffering from a financial disaster, don’t worry and stay calm. With a few action steps you will be on your way to recovering in no time. If you’re looking for a financial planning partner who can help you realize your financial goals, we have financial planning offices in Redmond, Seattle, Mill Creek, the Tri-cities region, and Denver. Our firm focuses on helping retirees and those preparing for retirement achieve financial freedom by creating a plan that shows them how they can have the income they need and want until they turn 100.